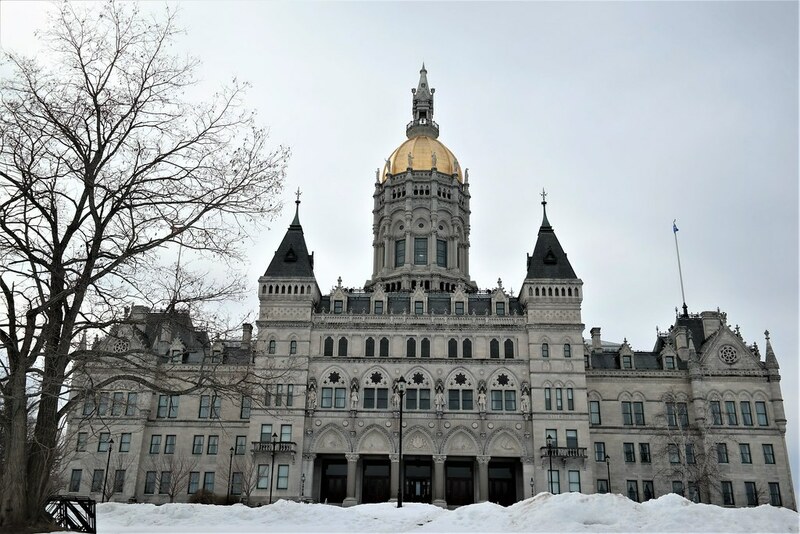 If the opportunity arises, I like to visit a state’s capital while traveling. Not that a capital represents everything a state has to offer, but it’s my assumption that the capital, at some point, presented something special to garner the title. 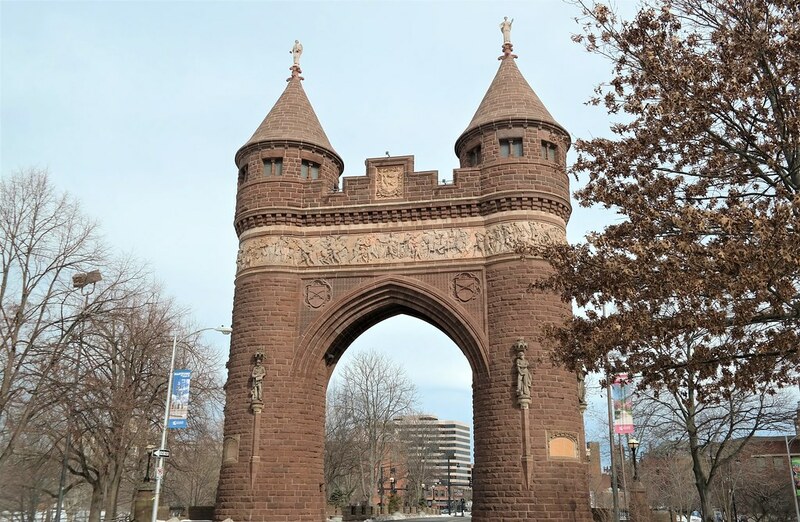 Our afternoon plans kept us from visiting one of the many museums of Hartford*, however, we drove around the city taking in the sights. 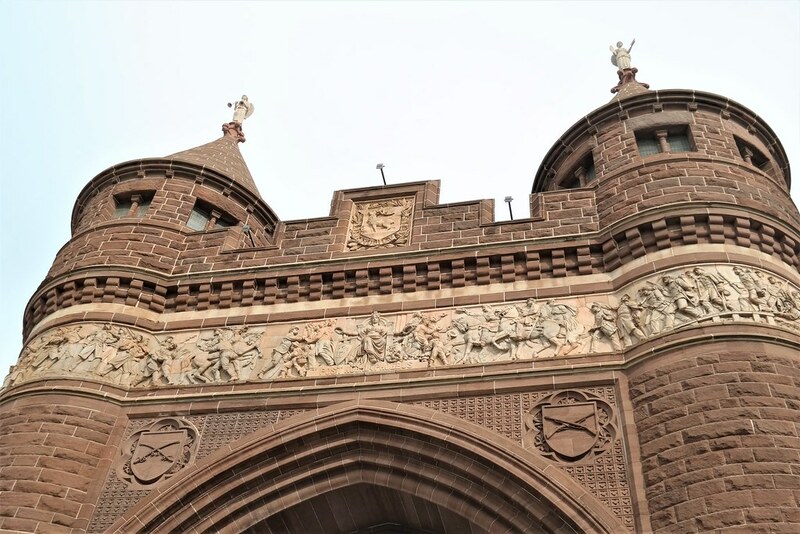 *Of which include the Connecticut Science Center, Mark Twain house, Harriet Beecher Stowe House, and Wadsworth Atheneum. The gold dome of the capital building stood out from miles away, leading me to ask Lance whether all capital buildings have golden domes. 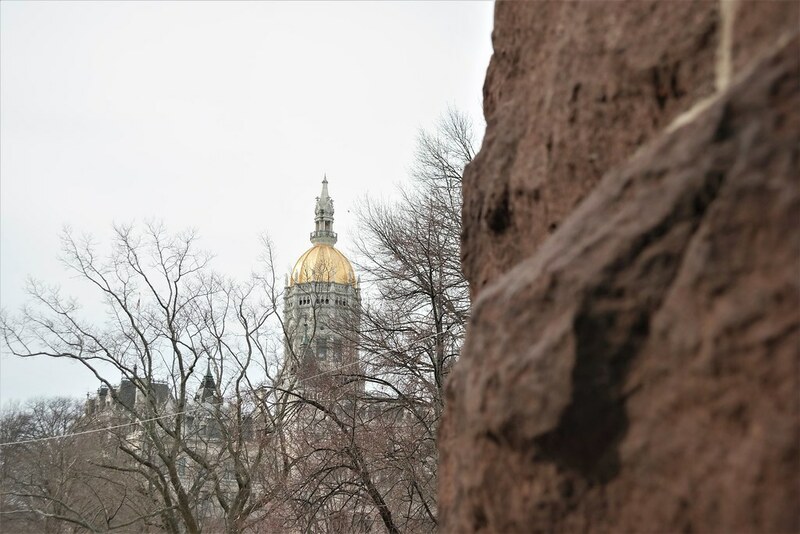 * In Jersey, our capital building stands out quite similarly leading me to press my nose against the window each time I pass it, awed by its sparkly beauty. I later learned that while several capital buildings have golden domes, many do not and offer a much humbler presence. Before we took the time to immerse ourselves in the magnificence of the architecture, we had important food matters to attend to. 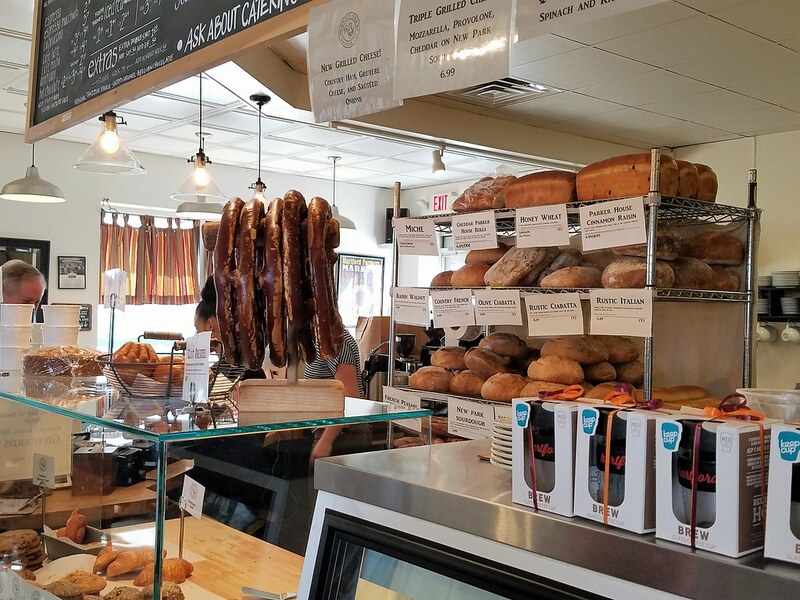 Even with a brunch reservation approaching, we stopped by Hartford Baking Company to see what they were all about. Bread. 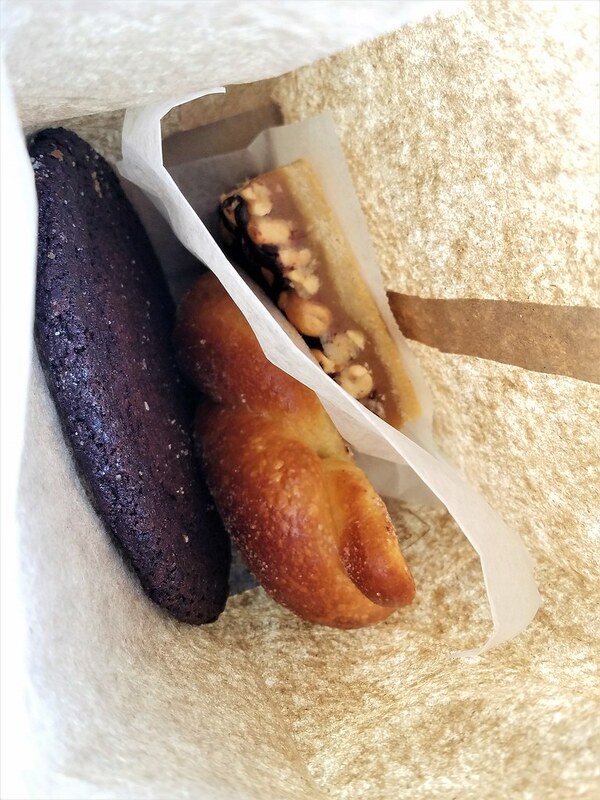 Baked goods. Bavarian pretzels. No, brunch did not keep us from ordering more than we could eat right then and there. I do, however, continue to regret not purchasing a pretzel. The secret to their artisan bread is simple, but painstaking: time and patience. I’ve found this to be true in my own baking. Better baked goods requires your full attention, the ability to put care into the final product, and lots and lots of time. We ordered two loaves of bread to take home: honey wheat and country white. Now all I want to do is bake bread every day. Thank you, Hartford Baking Company. The salty peanut caramel bar was a wild card choice which I’m glad I made. 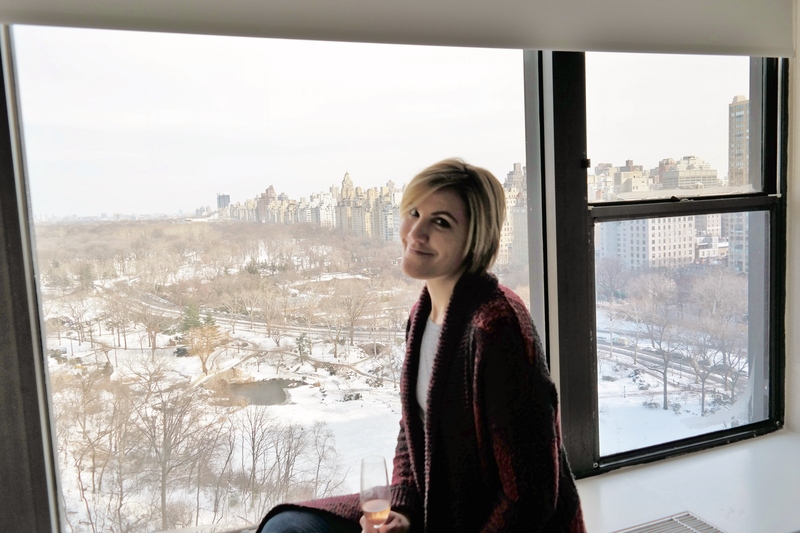 It tasted like a slab of shortbread topped with caramel, peanuts, and chocolate…in other words, a life changing square of yum. Yeah, I’m going to need to make that at home, too. 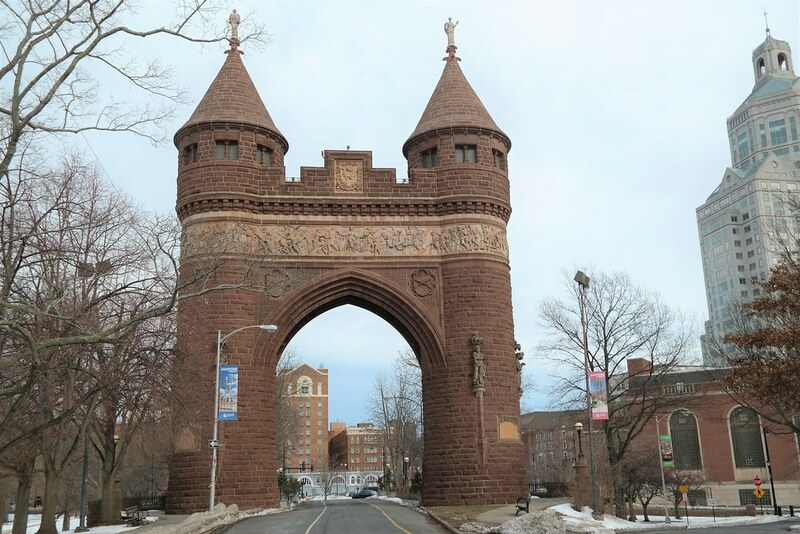 From the bakery, we drove a little further around Hartford and discovered the Soldiers’ and Sailors’ Memorial Arch. I’m jealous of people who live in cities with architectural masterpieces. I tend to assume they take for granted majestic structures being within their reach. *Except if there’s traffic. No sense rear ending someone over an arch. Equally as breathtaking was my closeup view of the capital building. 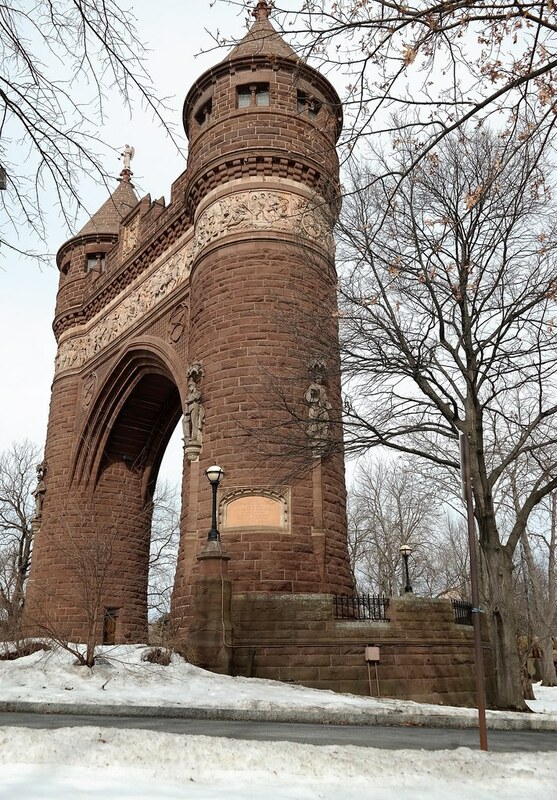 From the arch, we passed Bushnell Park, a beautiful, open space of land…covered in snow. I’d love to see it in the summer. My only thought when I see a building like this: Why can’t it be my home? I stood in the middle of the road and got scolded by Lance to take this picture, so I figured I better share it.